After a refreshing weekend in the desert of California (ok... technically I was on a giant polo field), I came back to find a few important announcements about the LEED for Neighborhood Development (LEED-ND) rating system, namely that there are now LEED AP ND specialists out there and that the system is going to be launched on April 29th! 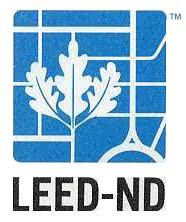 Did I mention that I'm digging the LEED-ND logo? Nathan had already passed the LEED-NC v2 AP exam, but was interested in learning about the system oriented more towards planning than building design. Since the beta test was free he decided it couldn't hurt to try. 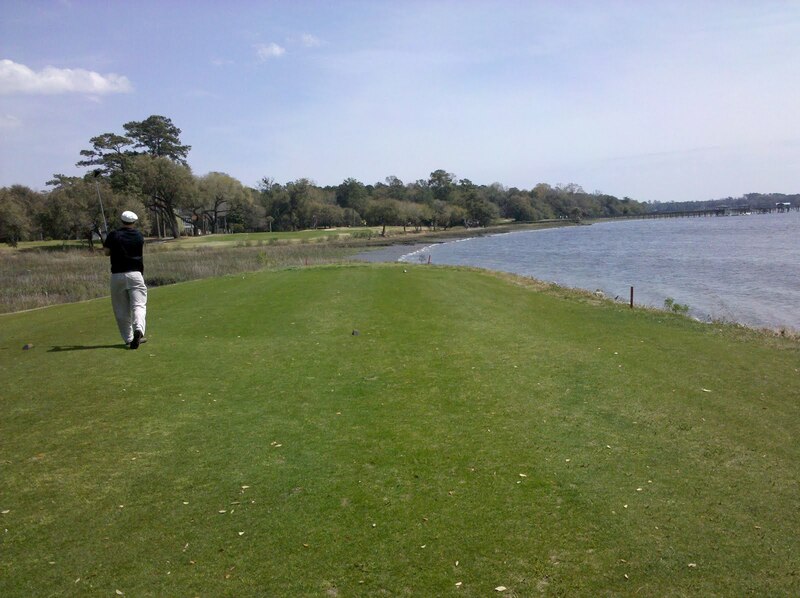 He said of the experience: "This test was the biggest kick in the teeth I've experienced." In other words it was hard, which is not terribly surprising but helpful to know anyway. He had worked on LEED-NC projects before, one of which happened to fall within a LEED-ND pilot project, and my understanding is that he used the LEED Reference Guide for Green Neighborhood Development as his study tool. Were you in the group that took the LEED ND beta test? Let us know about your experience by sharing a comment! *This section was edited on 04.22.10 after the USGBC Communications Department confirmed that registrations will be live on 04.29.10. **Meaning this could easily be incorrect, but presumably all beta testers were notified at roughly the same time. I took the exam as a beta-tester in mid February--and just found out that I passed last Friday--a long and kind of stressful wait.. I am a LEED AP from version 2.2 and as an urban planner, I was interested in this next level of applying LEED. I'm with you, that LEED-ND logo is slick! I was wanting a set of USGBC logo coffee mugs, but now I'm thinking maybe LEED-ND logo coffee mugs might be twice as nice. I passed the LEED-ND beta, and yes it was arduous. The Reference Guide is all I used to study, but the thing is almost 500 pages and sometimes as complicated as health care reform. It will help when they get a study guide written. I received my passing letting Friday as well. Having worked on an LEED-ND pilot project I thought the exam might not be that bad, but so many things had changed from the pilot it was almost more confusing trying to forget the old requirements and learn all new ones. I'm not sure how much they will change from the beta version of the exam, but it seemed to be just as much memorization as any other LEED-AP exam. The new version of the reference guide is key to have, don't rely on any pilot version material! I also recieved my Letter stating I had passed last Friday. It wa definitely as hard as everyone else stated! The memorization portion was there, but there was a good bit of calculations that were also required. I also agree, that there were several versions of pilot materials which were contradictory - so definitely get the "real" version, and DEFINITELY study. Do you know how many took the Beta, and how many passed? i would be curious to know. I don't have figures on how many took/passed the exam... will let you know if that changes. ...I will check back here, as I'm also interested in the number of folks that passed! I also passed the LEED-ND beta exam. I agree, I thought the test was significantly more difficult to prepare for than the original LEED NC v2 exam, which I passed in October 2008. At one point, I completely disregarded the monstrous LEED ND Reference Guide and focused solely on the LEED ND Rating System PDF available for free ( http://www.usgbc.org/DisplayPage.aspx?CMSPageID=148), and streamlined to 1/4 the length of the reference guide. This was more than enough to study from. I have a question for ND prep. It is needed to memorize all numbers in tables in rating system? 20% passing rate is quite normal, compare to other specialty area?